The cruise port with the most passenger traffic in the world is Port of Miami. 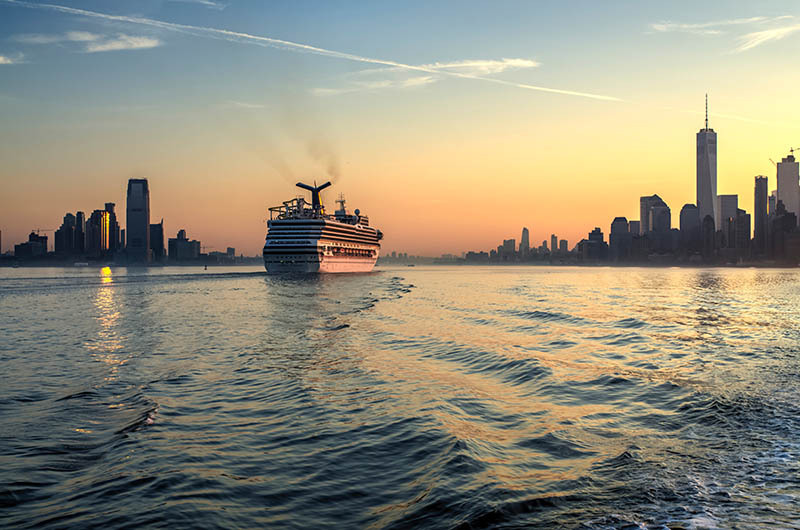 It is home to 12 cruise operators and the largest year-round cruise fleet on the planet. Located east of downtown Miami, it is often called the Cruise Capital of the World. Its Terminal A, largest ship terminal in the U.S serves as homeport to some of Royal Caribbean's largest ships. Miami is a hub for Cuban food, outlet malls, and designer boutiques, as well as major league sporting events, a number of festivals, and miles of white sand beaches. Port Canaveral is one of the more popular cruising and vacation destinations in Florida. This is the gateway to cruise that many travelers embark and start their adventure. The second- busiest cruise port in the world is famous for its fine dining, rocket launches, and attractions unique to the Florida Space Coast. Port Canaveral serves as a popular homeport for the largest world-class cruise ships operated by Carnival Cruise Line, Disney Cruise Line, and Norwegian Cruise Line. When you need high quality transportation from or to a cruise port terminal, book your transfer with InterPlex. Then, rest assured that a fully licensed and insured driver and a comfortable, air-conditioned vehicle will take you to the destination you need. Copyright © 1996 - 2019, InterPlex All rights reserved.